A list of garden chores to accomplish for the month of April, including both vegetable gardens and flower beds, as well as lawns and general tasks. Hopefully by April, most of us are experiencing at least some spring weather. Where I live, there’s always a chance of a hail storm or even frosting mornings, but for the most part, spring is here, flowers are blooming, and the vegetable garden needs planting. The next three months are probably the busiest for gardeners – we’re trying to catch all the weeds before they get big (and make our lives harder come July and August), get things mulched, plant new shrubs, plants and edibles, and generally run around like chickens with their heads cut off. Hopefully this list will help you take on a slower pace for the chores needed in April! Prep main garden beds for spring & summer planting by weeding and turning in organic material. Harden off cool-weather seedlings started indoors (cauliflower, broccoli, cabbage, lettuce, etc.). Plant starts of broccoli, Brussels sprouts, cabbage, cauliflower, chard, leeks, & lettuce. 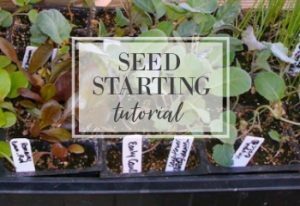 Plant seeds of carrots, endive, lettuce, peas, radishes, spinach, turnips, rutabagas. Use floating row covers to help protect beets, cabbage family & carrots from insects like leaf miners and cabbage maggots. (I’ve also found that row covers provide just enough more warmth to allow bigger growth than uncovered vegetables). Apply organic fertilizer to cane, bush (blueberries, currants, gooseberries) & trailing berries. Mulch perennial vegetables and fruits like asparagus, rhubarb & strawberries with compost or composted manure. Feed fruit trees, apply whatever you feel comfortable with to control maggots, etc. Prune & shape spring-blooming shrubs and trees after blossoms fade. Deadhead flowers as they finish blooming. 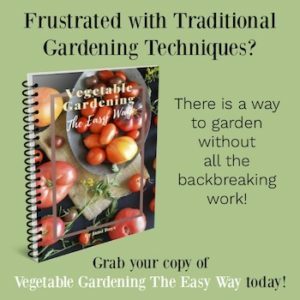 Continue laying newspaper and mulching your garden beds as you clear them of weeds – you will never be sorry you bit the bullet and spent the time doing this now, trust me on this. Fertilize lawns so spring rains can water it into the ground. Edge beds & paths as needed. Refresh paths as needed with bark, gravel, etc. Keep caring for warm weather seedlings indoors: feed a half-strength solution of organic fertilizer or fish emulsion, keep well watered, and raise the light source as they grow. Re-pot as needed to larger pots. Note: This list is not comprehensive by any means, but meant to provide a jumping-off point to organizing your garden chores. Feel free to print the list and add any of your own specific chores to the sections. Hi Jami, Thanks so much for your blog. Especially since you are in Oregon. Thank heavens I just put my covers on my plants yesterday because we had lots of hail here on the coast. Great post! 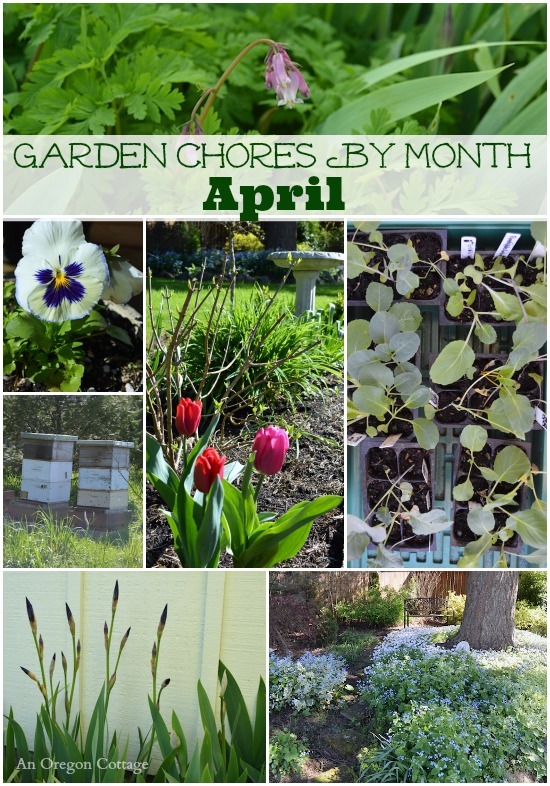 Found some good ideas and also great reminders on my garden chores for next month. Your post will be of a great help for my sister too, so I’m surely recommending it to her. Thank you for sharing all this nice information! So glad you found it helpful, Myra! 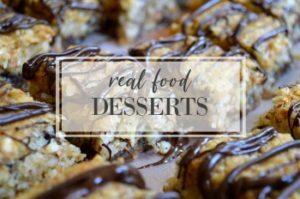 Totally late to the party, but glad I discovered your blog. The monthly chore lists are perfect reminders for what needs to be done. Thanks for all you’ve done here! Enjoy the wonderful weather while it’s here. Great list! I really need to keep a list like this for us. I’m kind of fly by the seat of my pants kind of gardener – just doing what I see needs to be done. But I’m getting better.